Italians are known for their passion, their enthusiasm, their joie de vivre. This love of food, wine, art, romance and indulgence feels deeply ingrained in the modern Italian’s being, a genetic thread that runs through the country’s citizens. And where does this inherent hedonism come from? One can surely point to the ancient Italian city of Baia as one of the epicenters of Italian culture. 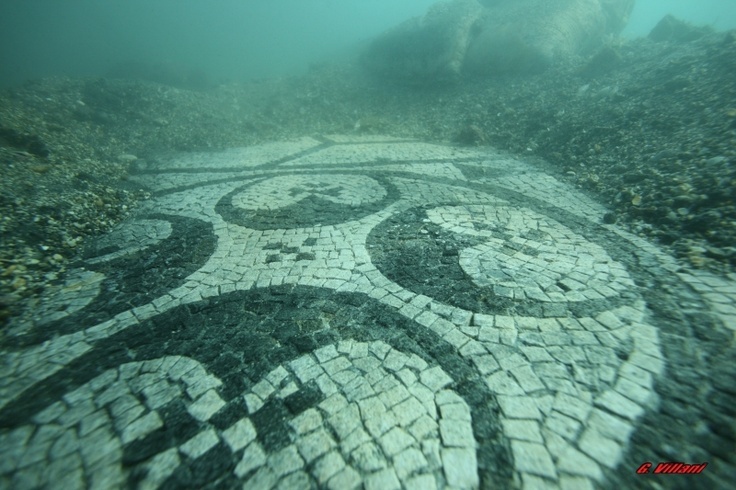 Originally called Baiae and located on the Gulf of Naples, Baia served as an ancient Ibiza for the most elite and notable Romans during the Roman Empire. As a coastal town with a nearby volcano that created natural hot springs through the area, it was the perfect spot for emperors to unwind (and get into trouble). Roman engineers harnessed the hot springs’ healing effects for saunas and bath houses. The Romans built casinos and visitors hosted beachfront bacchanals that lasted all night long where the wine flowed and food was abundant. It was a party town in the purest sense, though it never attained legal municipal status. Really, what is there to do in the winter except cozy up by the fire and eat lots of food and drink wine? 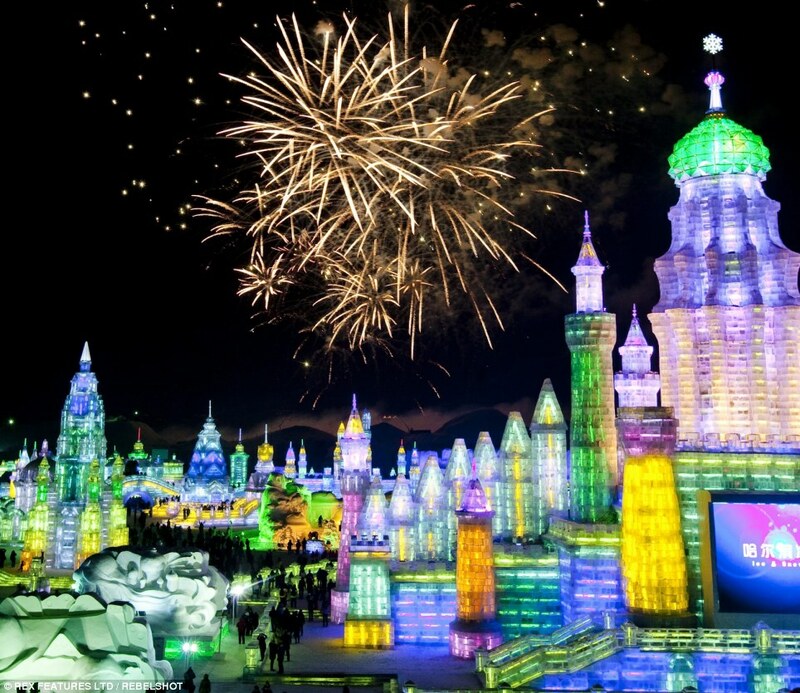 For the residents of Harbin, Heilongjiang, China, there’s the annual Ice and Snow Sculpture Festival— the largest of its kind in the entire world. While the festival was confined to local participants when it first started in 1963, its since become an international festival drawing contestants and visitors from all over the world. The festival had a brief intermission for a number of years due to the Cultural Revolution but reopened in 1985 in Zhaolin Park. The festival begins on January 5 and lasts for an entire month though certain participants and areas will begin early and stay later, weather permitting. Average temperatures during this time of year hover between 1.8 and -31 degrees Fahrenheit. There are two main areas of the city that get dedicated to the festival, though it is scattered throughout. Sun Island sits on the opposite side of the city proper, just on the other side of the Songhua River. 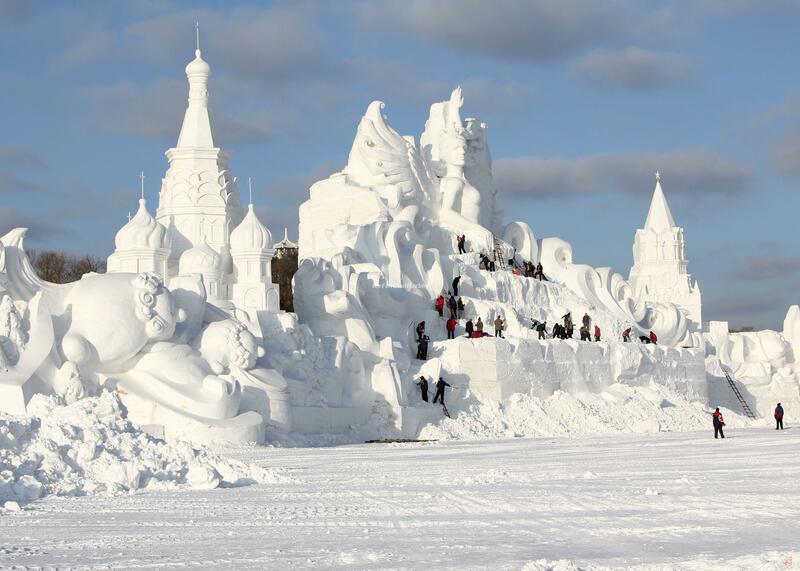 Here, visitors will find an expo of outsized snow sculptures. 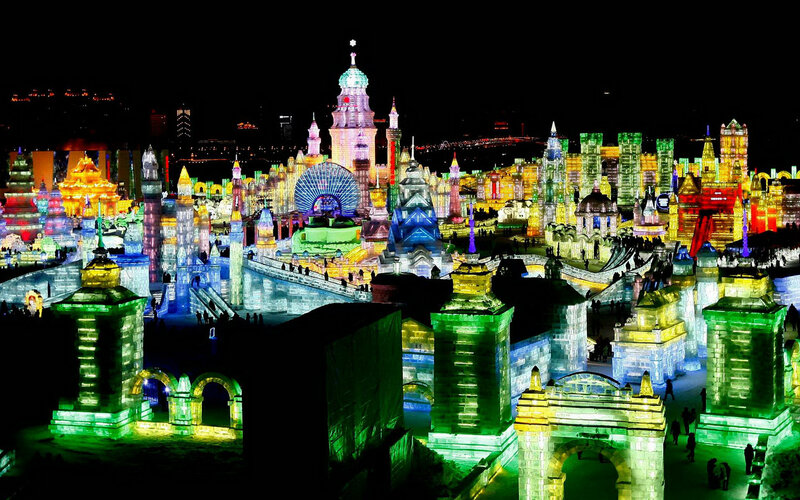 Ice and Snow World, however, is a nighttime city built entirely from 3 inch thick blocks of ice that have been taken straight from the river. Local artisans use swing saws, ice picks, and chisels to carve the ice into moveable blocks. 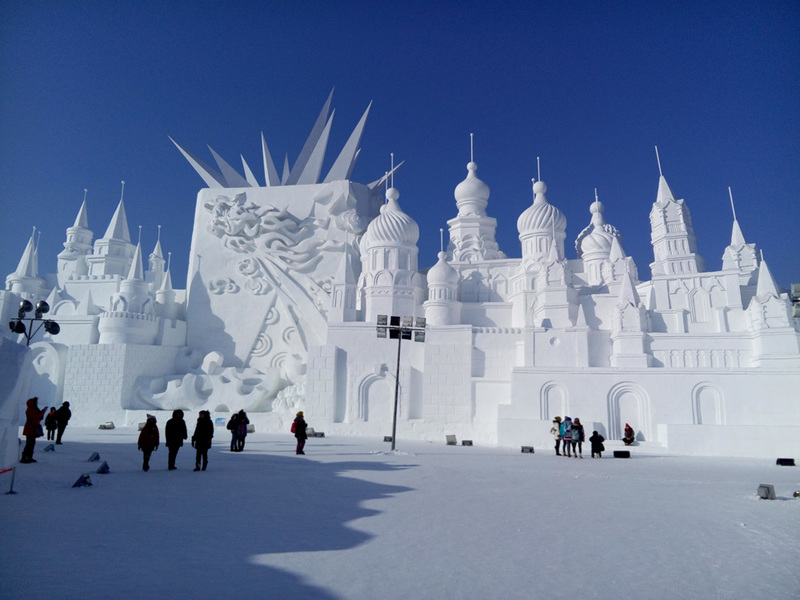 The blocks are then used for the Snow World constructions or ice sculptors use them to create temporary works of art. Festival participants have learned how to use de-ionized water so that their ice blocks are crystal clear; additionally, they’ll use colored lights to illuminate their artworks. In addition to the snow and ice sculptures, the festival also features a wide array of winter sports that include alpine skiing and even swimming in the river. 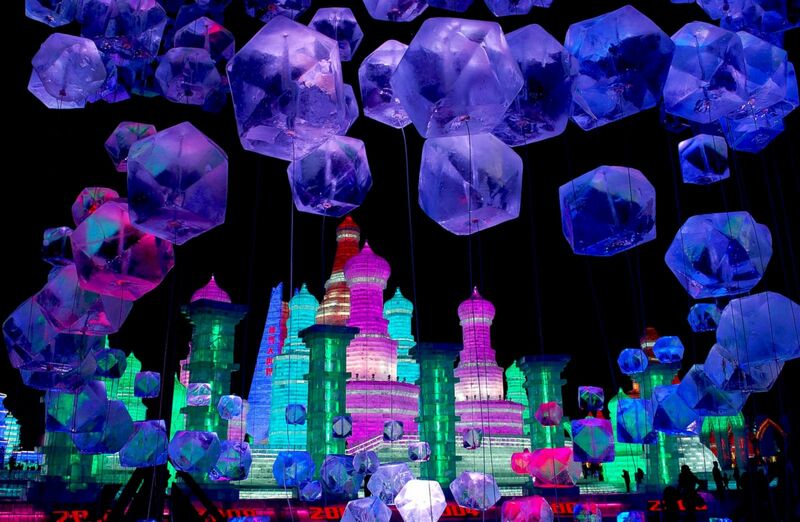 Additionally, there’s a beautiful ice lantern exhibit in the Zhaolin Gardens. In 2007, a snow sculpture celebrating the life of Canadian doctor Norman Bethune won the Guinness Record for largest snow sculpture, clocking in at 820 feet long, 28 feet high, 250 meters long and using almost 460,000 cubic feet of snow. If you thought your commute home on the 101 or I95 was frustrating (and dangerous! ), what do you think the residents of the island of Noirmoutier in France think of the natural passageway that connects their home to the mainland? It floods twice a day. Le Passage de Gois ou Gôa is 2.58 miles long causeway and is located on the Atlantic coast in the Bay of Bourgneuf, in the department of Vendée. The natural bridge floods every day at high tide and is the only known road in the world to do so. It’s a one way road – you can only get from the mainland to the island on it – and is only passable at low tide and then for 1.5 hours before and after low tide. Because it spends so much time underwater, the passage is usually slippery and often has dregs of seaweed stretched across its length. There are timetables and warning signs at each end of the bridge. Cars are prohibited from driving across it during high tide though many have not adhered to the rules and been lost under the sea. There are rescue towers stationed intermittently between the mainland and island for those caught in the tide. They can climb the towers to wait out the water. Hundreds of years ago, the only way to access Noirmoutier island was by boat. But over the years, silt began piling up that allowed people and animals to cross on foot. The name “Gois” actually comes from the word goiser which means “to walk while wetting ones shoes.” Since the natural accumulation of the silt passageway, different degrees of stabilization work has been done to make it more passable. In 1840, service by car or horseback was established. Later, a more permanent cobblestone road was laid down and in 1971, a real bridge was constructed across the water that allows cars to get between the mainland and island easily at any time of day. The Passage du Gois has been used twice for the Tour de France bike race. In 1999, the road was a part of Stage 2 of the Tour de France; halfway through, a biker fell and the crash created a six minute split in the peloton which completely changed the outcome of the race. The passage was used again in 2011 as the starting point of the first race stage. The passage is also used every year for a foot race – the Foulées du Gois – and actually starts at the onset of high tide. It’s marked as a national monument of France and attracts visitors from all over, year round, to watch the entire miles long road get swallowed up by the sea. They come to collect sea shells and play in the water during low tide as well.